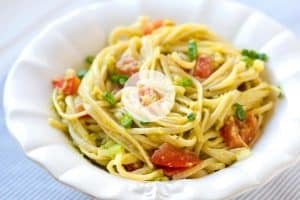 Easy roasted tomato pasta recipe with garlic, lemon, and cardamom. 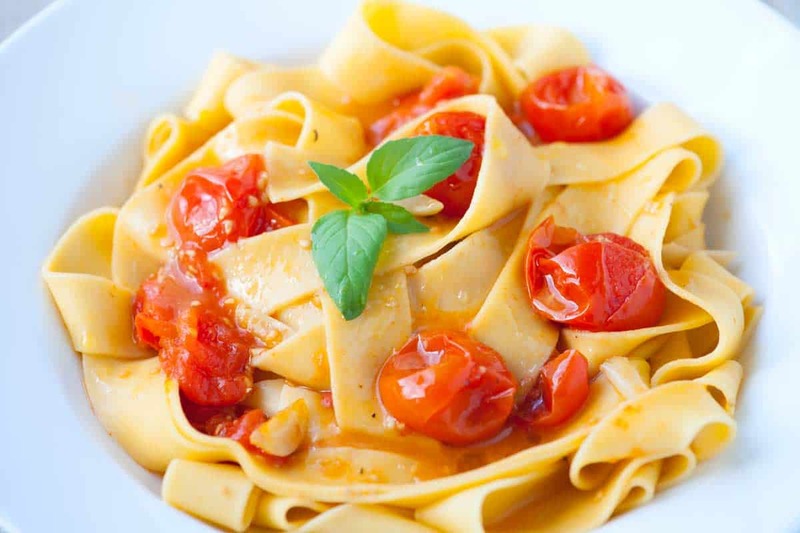 Jump to the Cardamom Roasted Tomato Pasta Recipe or read on to see our tips for making it. 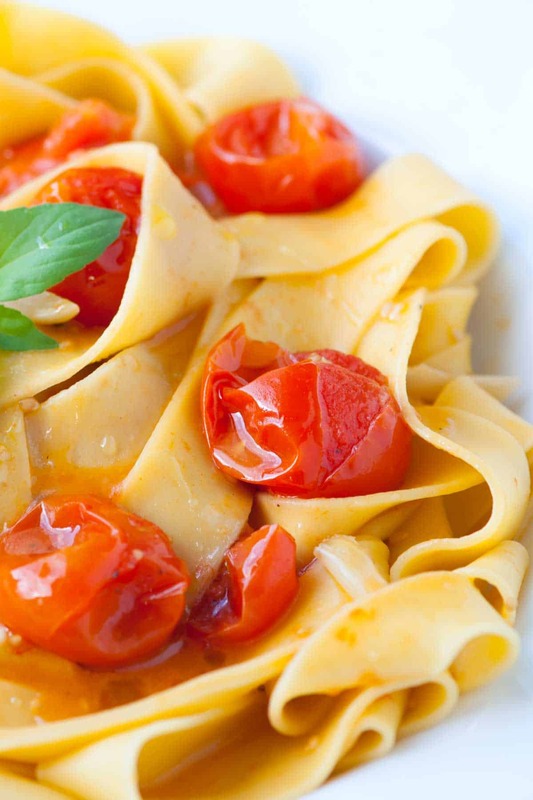 Sweet cherry tomatoes, garlic, cardamom pods and lemon zest are roasted in the oven creating a bright and lively sauce for pasta. After roasting the tomatoes split, releasing just enough juice to coat the pasta. YOU MAY ALSO LIKE: Rigatoni pasta is tossed with a creamy sauce made with goat cheese and sun-dried tomatoes then baked in the oven until bubbly. 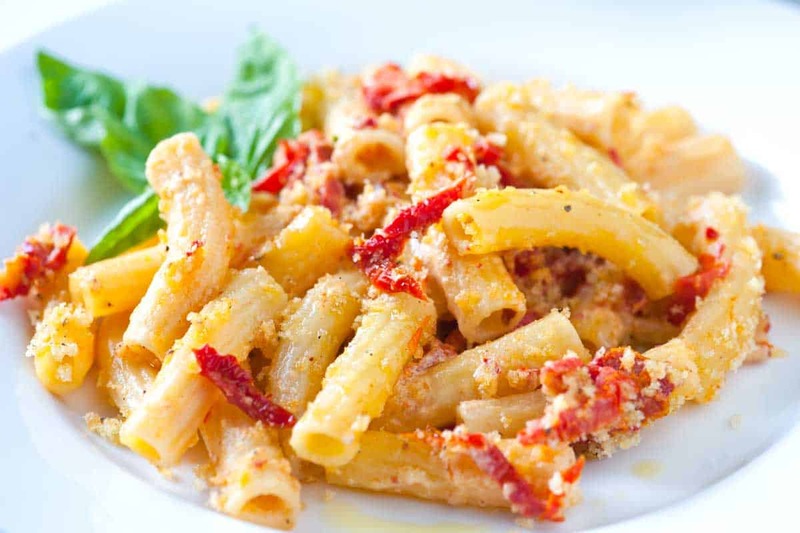 Jump to the Sun-Dried Tomato and Goat Cheese Rigatoni Pasta Recipe. This pasta recipe comes together quickly. You will need a hot oven. 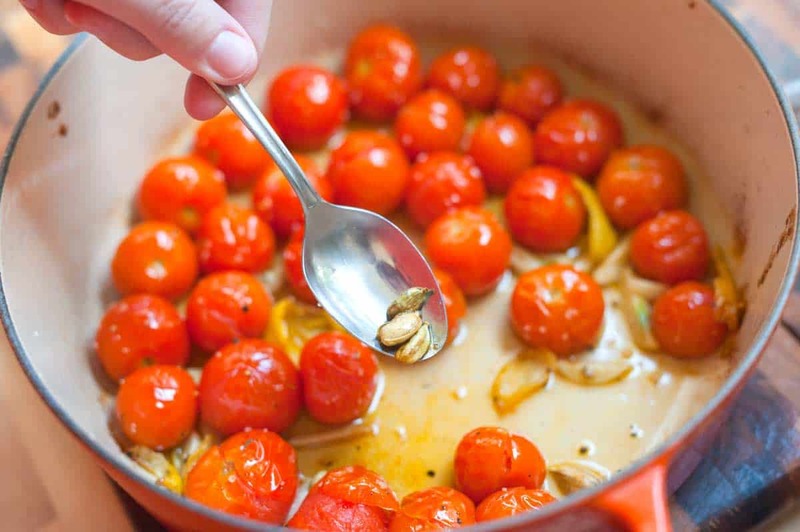 Then add cherry tomatoes into an oven-safe pot (we used a dutch oven) as well as some garlic and cardamom pods. 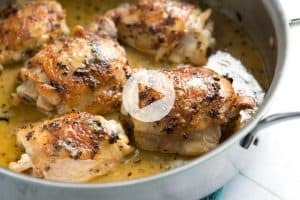 You could use a baking sheet, but if you use the oven-safe dish, you can finish the sauce in the same pan, meaning less clean up. Drizzle in some olive oil. Then use a vegetable peeler to peel about half of the zest away from a lemon. Season with salt and pepper then roast for about 20 minutes. Discard the cardamom pods and lemon zest then make the sauce by adding chicken stock and the pasta. 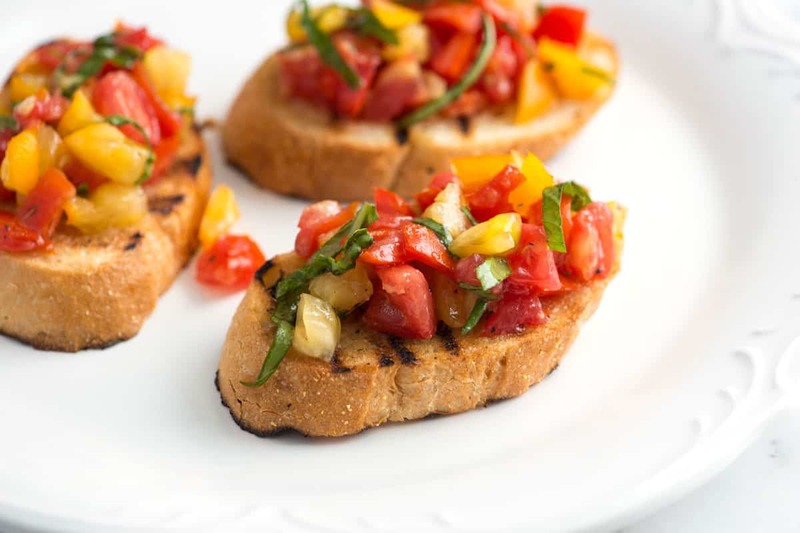 Serve as is, with fresh herbs or with a sprinkle of freshly grated Parmesan cheese. The star to this pasta sauce is the cardamom pods — they infuse a spicy, herbal and citrus character to the pasta. If you do not have pods, you can substitute with 1/2 teaspoon of ground cardamom. Add the ground cardamom before roasting the tomatoes. 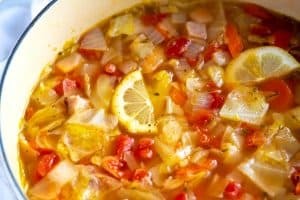 Heat oven to 450 degrees F. Add cherry tomatoes, garlic, lemon zest, cardamom pods and olive oil to a large oven-safe pan or Dutch oven. Season with salt and freshly ground pepper. Roast, uncovered, for 10 minutes. 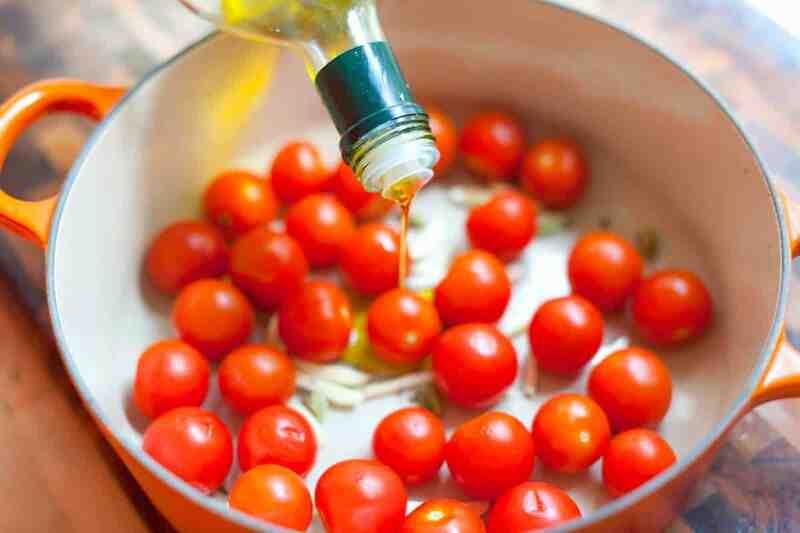 Stir the tomatoes then continue to roast until the tomatoes begin to split, 5 to 10 minutes more. Meanwhile, bring a large pot of salted water to a boil then cook pasta according to package directions. Drain. Remove the pan from oven then remove and discard the cardamom pods and lemon zest. Place the pan over medium heat and add chicken stock. Bring to a simmer then cook until reduced by half. Add the cooked pasta and cook until the sauce coats the pasta, about 1 minute. Season to taste and serve. This is just what I need after a weekend of gluttony! You guys just kill me. I might be in love.